After quite busy summer we decided to accept nice invitation from France. Terra Mano is name of festival hold every year in small town in Corréze deppartment, Meyssac. We were invited to participate on festival and also to spent few day before festival in this wonderful area. We needed vacation and it was pleasant to leave our daily routine behinde us. But I took this traveling, as I usually do, more like oportunity to learn and bring new inspirations in to my live. Back home, I remember people and their lives more then sights. I am always more curious to see how craftsmen work then lie on the beach. Hearing story of a castle I see lives of people in the landscape around. We enjoyed stay in the area very much. It was great to watch how local potters throw on the weel. It was factinating to see how glassblower is blowing in to a pipe, creating wonderful vase. Farmers in walnut orchard are picking up this year's wealth. There are goats on slope and goats cheese on the table. Driving thru vineyard in the morning we enjoyed red wine during evening. 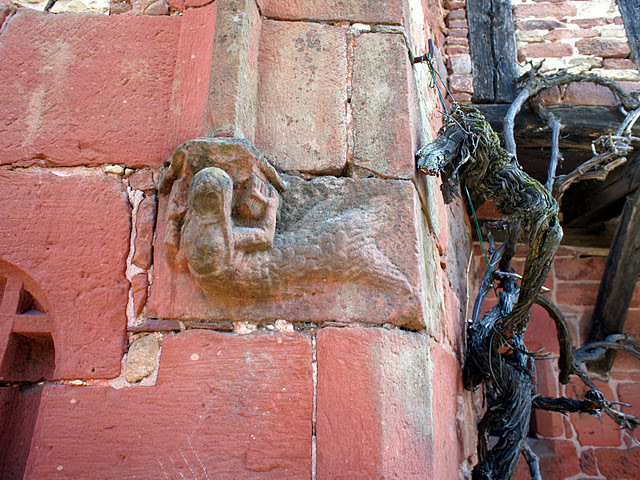 There are few villiges in the area called "red stone villiges" From pictures you can see why this nickname. What fascinates me as a potter was the clay used by local potters. It is stoneware with almost the same color as those sand stones houses around - iron red. 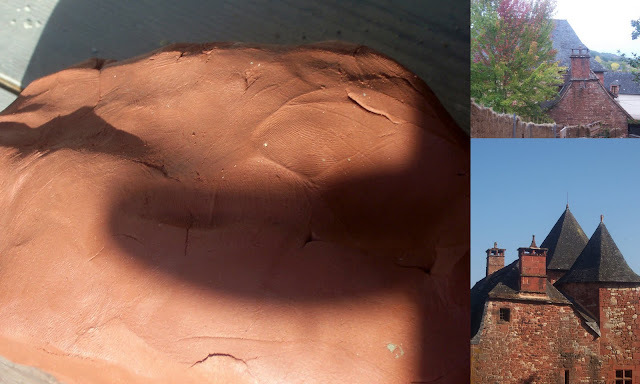 The clay is mined by Dordogne River and it was joy to try work with it there. Such joy that I asked Meyssac potter Laetitia to give me chunk of this "Dordogne treasure" to try it at home. I am looking forward to see how my hands and our kiln are going to deal with it. At the top of my head I have few tea pots named "French Autumn" (I know, not too inventive...). And the process have already started. So please, curious reader, be patience and stay tune.